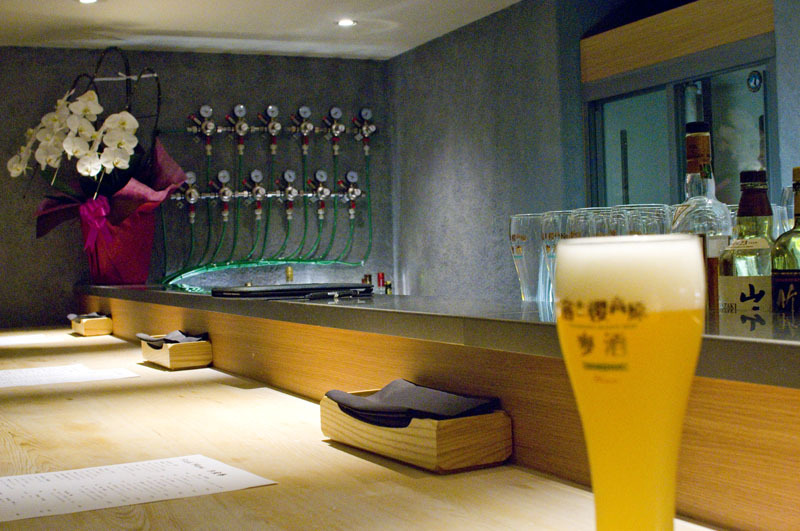 Run by a Yamanashi brewery known for their excellent German-style beers, this basement venue feels less like a beer bar and more like an old-school Roppongi dining bar, with plush furnishings, fancy spot lighting, subdued piano music and a refined menu of bar snacks. The beers are good though - twelve taps serve both Fujizakura beers and half a dozen guest beers from the usual roster of Japanese craft breweries. 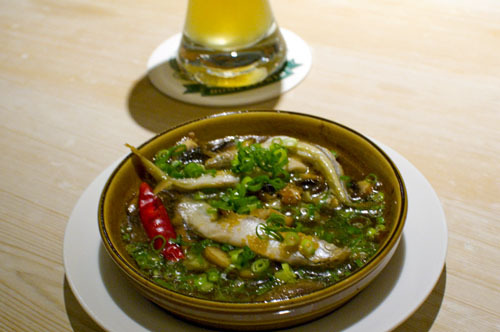 The menu offers typical modern Tokyo bar fare - confits and ajillos, liver mousse and steamed mussels. The menu itself is stylishly written in tiny script which may be hard to read. 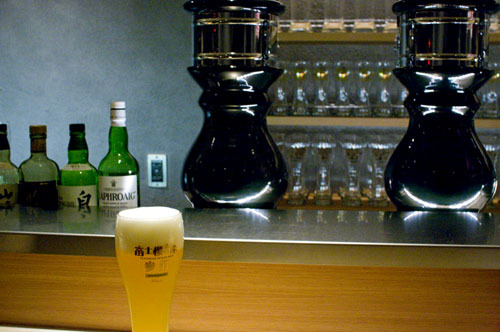 Prices are also typical of Tokyo dining bars - small dishes hover around Y700-1000 - while large-size glasses (400-500ml) of Fujizakura beers are priced at Y1000. They also have super-large 1000ml glasses (Y1900) if you like to drink your beer from a very large glass. Minato-ku, Roppongi 4-8-7, Shimada Bldg B1F.